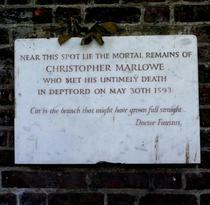 Near this spot lie the mortal remains of Christopher Marlowe, who met his untimely death in Deptford on May 30th 1593. 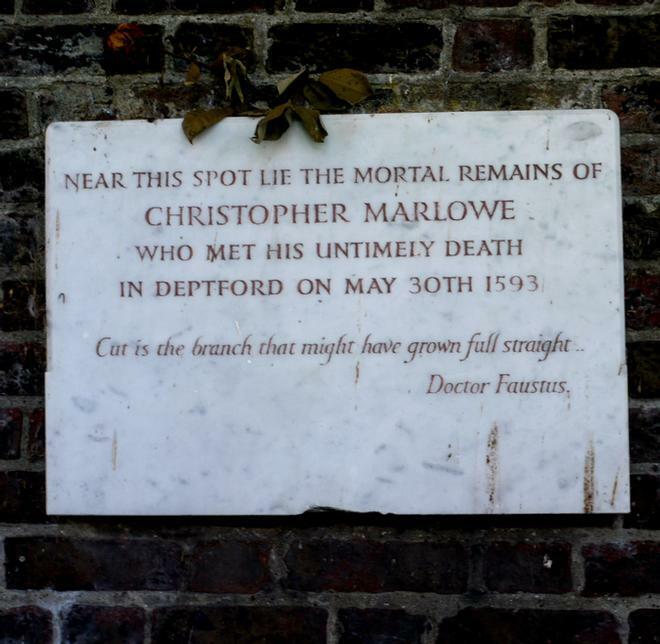 Cut is the branch that might have grown full straight, Doctor Faustus. The actual location of his grave is unknown. The overflow pipe is not part of the memorial. This was erected in 1984 or shortly after.